Cindy delivers an exceptional lesson experience and ranks in the top 15% of our teachers nationwide. Teach Gentle as well as Hatha yoga classes. Teach Hatha Yoga for Dr. Grossgold patients. Co-owner, managed the daily operations of the center. Taught 8 classes a week and mentored teachers. Set Leaders assist Teachers by demonstrating moves and helping students with the movements in the 108 move set. Yoga Alliance approved 250 hour intensive program with Master Yogi Amrit Desai. In this program you live at the Amrit Ashram for a total of 20 days (2-10 day visits). You lead the life of a yogi while deepening your practice. This includes anatomy, philosophy, pranayama, meditation, proper alignment of asanas, how to assist students, and how to instruct students with special needs (pregnancy, high blood pressures, etc.). Includes Nutrition, Chinese Protocols for Reversing Illness and Disease, Breath work, Wuji Gong, Tai Chi and Qigong Forms I and II. The Taoist Tai Chi Society of the United States of America, Inc. was incorporated as a national charitable organization in 1989. The Society was founded to preserve and promote the Taoist tradition of the dual cultivation of body and mind. In keeping with Master Moy&rsquo;s vision of compassion and service to others, all instructors are nationally accredited volunteers, and most of the administrative work is done by volunteers. Yoga Alliance is the largest nonprofit association representing the yoga community. Our mission is to spread the power of yoga one person at a time. We believe that the individual experience of yoga is of paramount importance, and are committed to supporting the passage of yoga from trainer to teacher, teacher to student, and student to aspiring yogi. Our role as the national support organization for the yoga community is to ensure that the practice of yoga will keep growing, so that more people will connect with yoga and be transformed. As an organization we keep several core values at heart: service, excellence, transparency, learning and community. Looking to promote better balance? Here's a quick, easy to learn exercise. Here's a short video showing you how to strengthen your legs and promote better balance. This is one of my students. He was bed and wheelchair ridden, unable to move. After working with him for 8 months he was able to stand!! Cindy is a joy to work with. She has helped me learn to relax and ease a stiff neck with her skillful qigong instructions. I would highly recommend her to anyone who is interested in learning stress reduction techniques. Cindy is wonderful! highly recommend! This was my first lesson on quigong and first on skype too. I have to admit that both were wonderful. Cindy has a great disposition and actually makes stretching fun! She is a great teacher and motivator. Cindy is very knowledgeable and extremely conscientious in making sure the poses are tailored according your specific needs and health issues. I have had the pleasure of taking Qigong classes with Cindy for over a year. She is an excellent instructor. She explains the benefits of the particular moves being practiced, as well as explaining how to do all of the moves. To me, the time with Cindy in Qigong is calming, uplifting, and spiritual. She is well rounded with knowledge and experience and makes it short and sweet which works well with scheduling. She is an authentic down to earth autonomous being :) I am Blessed to know her. I met Cindy taking classes at a studio where she taught Qigong. We then had her come to the house to give us private classes. The health benefits were wonderful. Lower blood pressure and increase in my bone density where no medication was needed. Cindy helped me with flexibility and Qigong. Few have had the impact on my life that she has. 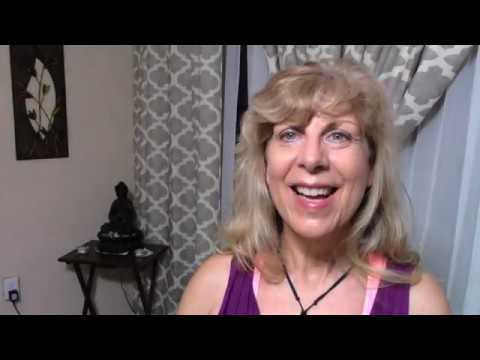 Cindy is very knowledgeable and a calming and encouraging presence in both yoga and qigong. Wonderful teacher.